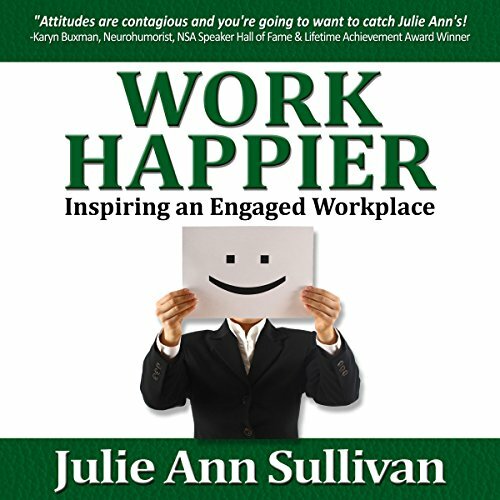 Showing results by narrator "Julie Ann Sullivan"
This recording of the live presentation of "WorkHappier: Inspiring an Engaged Workplace" offers listeners practical methods forachieving a happier environment at work, at home, and at play. All of life isinterconnected. What affects one part seeps into the others. In addition,research shows that happier workplace environments are more productive, safer,and more profitable. This audio program is filled with a good measure of motivation and humor. Julie Ann's ideas will build a positive and productive environment into every business.